On February 23rd, Canada took it’s first step toward the creation of a national amateur radio DMR network with the launch of the first inter-provincial DMR networking server. 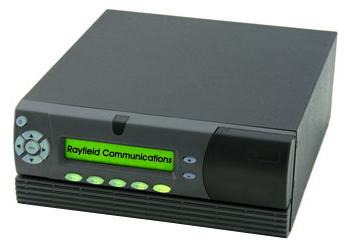 This server, known commonly as a “c-Bridge”, which is manufactured by Rayfield Communications, will serve as a network hub for Canadian amateur radio DMR repeaters, allowing them to reliably link to one another and to the larger DMR-MARC global network using the Internet. The Canadian c-Bridge is located in Montreal and is currently supporting several DMR repeaters in Ontario and Quebec, including the VA3XPR digital DMR repeater located in downtown Toronto. A special thanks goes out to all who made the launch of the Canadian c-Bridge possible, including Alain, VA2SPB, Chris, VE3BNI, Stephane, VE2TAX, Pierre, VE2PRT, Mike, AA9VI, JP, KC9KKO, John, W0PM and Don, VA3XFT. For more information on the Canadian c-Bridge and how your organization can connect their DMR repeater to it, please contact Don Trynor, VA3XFT.